For the administrative subdivision, see Rey County. "Ray, Iran" redirects here. For the village in South Khorasan Province, see Ray, South Khorasan. Rey or Ray [Pronunciation: rā] (Persian: شهر ری‎‎, Shahr-e-Ray, "City of Ray"), also known as Rhages (/ˈreɪdʒəz/; Greek: Ῥάγαι, or Europos (Ευρωπός) Rhagai; Latin: Rhagae or Rhaganae) and formerly as Arsacia, is the capital of Rey County in Tehran Province of Iran, and the oldest existing city in the province. Rey in Tehran map (black). Rey is 20th district of municipal Tehran. Note on spelling: According to the Iranian Chamber Society, the correct spelling of the city in both English and Persian is Ray, though variations in spelling also exist. The city university also uses the spelling Ray ("Azad University, Shahr-e-Ray"), as does the Encyclopædia Iranica published by Columbia University. A settlement began here c 6,000 BCE as part of the Central Plateau Culture. The settlement was used as a capital by the Arsacids called Rhaga. In Classical Roman geography it was called Rhagae. It is mentioned several times in the Apocrypha. Its name dates back to the pre-Median period. Some historians attribute its building to ancient mythological monarchs, and some others believe that Ray was the seat of a dynasty of Zoroastrian leader. During the Greek Macedonian occupation of Iran, Alexander's general Seleucus I Nicator renamed the city as Europos, honouring his country in Macedonia. Ray is richer than many other ancient cities in the number of its historical monuments, among which one might refer to the 3000-year-old Gebri castle, the 5000-year-old Cheshmeh Ali hill, the 1000-year-old Bibi Shahr Banoo tomb and Shah Abbasi caravanserai. It has been home to pillars of science like Rhazes. Rey was one of the capital cities of the Seljuqs in the 11th century. In the 13th century after the Mongol conquest the town was severely damaged and it gradually lost its importance in the presence of nearby Tehran. In the middle of the 19th century Ray was described as place of ruins, the only settlement being around the shrine of Abdol Azim. Being the only important pilgrimage site in vicinity to the royal court in the new capital Tehran brought more people to visit the shrine and a major restoration was sponsored by the court. Thus Ray was the first place in Iran to be connected to the capital by a railroad in 1888. Tughrul Tower, a 12th-century monument commemorating the Seljuq monarch Tuğrul Beg, is one of the historical structures still standing today. Cheshmeh-Ali, hill with a spring. In 1933-6 Cheshmeh Ali hill was excavated by archaeologists from the Boston Fine Arts Museum and the University Museum at the University of Pennsylvania headed by Erich Schmidt, which resulted in the discovery of 7,000-year-old artifacts. Some of the discovered objects are displayed at museums in Iran, Chicago, and Philadelphia. The hill, which is now entirely leveled out and most artifacts unrecoverable due to real estate expansion in the 1980s and 1990s, was the home of Aryans about 6,000 years ago. Since Ray was used as a recreation center due to its beautiful attractions under the reign of the Qajar dynasty, Fath Ali Shah often used to explore the city. In 1831 his portrait and that of some Qajar princes were engraved on a rock at Cheshmeh Ali hill and its surrounding was decorated with tablets covered by poetry. Ray Bazaar. Located to the north of Shah-Abdol-Azim's shrine, it comprises two sections and a crossroad is formed at their intersection. It has long been a center for the sale of spices, traditional herbs, and commercial goods which were imported by traders via the Silk Road. The structure of the bazaar is constructed from plaster, brick, raw mud brick and mud. It dates back to the Safavid era and is approximately 500 years old. ↑ "Iran Chamber Society: Iranian Cities: Shahr-e Ray". Retrieved 2 December 2016. ↑ "Islamic Azad University, Shahr-e-Ray - TOP ranked University - University Directory". Retrieved 2 December 2016. ↑ electricpulp.com. "FAHLAVĪYĀT – Encyclopaedia Iranica". Retrieved 2 December 2016. 1 2 3 al-Qummi, Ja'far ibn Qūlawayh (2008). "107". Kāmil al-Ziyārāt. trans. Sayyid Mohsen al-Husaini al-Mīlāni. Shiabooks.ca Press. p. 658. 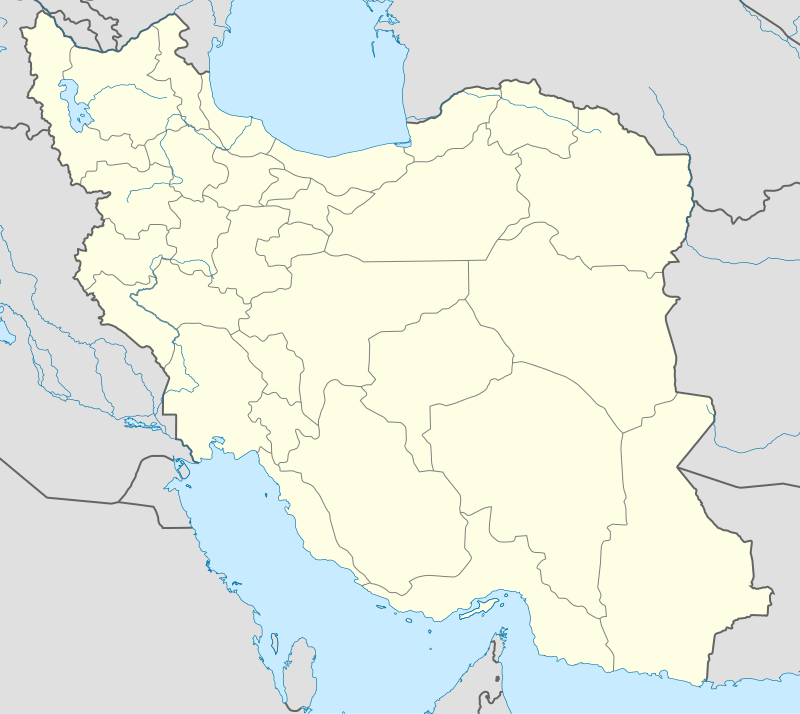 Wikimedia Commons has media related to Ray, Iran. Daily Life Ornamented: The Medieval Persian City Of Rayy Special Exhibition at Chicago Oriental Institute (May 15-October 14, 2007).